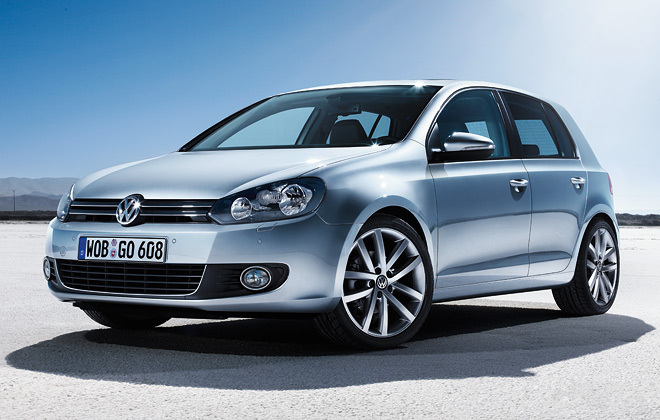 A VW Golf A6 made 2012 with CFBA engine and DSG7 transmission,the owner feedback that the air conditioner work a while then shut off by itself.And is this article I will share this real case on How to solve VW Golf A6 air conditioner shut off automatically by itself trouble. 000229 – refrigerant pressure upper limit exceeded. According to the trouble codes hint,technicians check the data stream of AC controller and found the pressure of 08 AC controller unit up to 3.06 MPa.And check the data stream of ECU show that duty ratio of cooling fans up to 99.6%. Follow the below ECU data stream,the cooling fans are not functioning correctly.Then technician tested the cooling fans and found them does not work occasionally.Consult the circuit diagram(show below), detected the cooling fans at load condition,the power supply normally but GND is unnormal.Then technicians found the resistance between T4x/4 and GND is too large.Consult the circuit diagram,this terminal is located on longitudinal beam 642 GND. Use weld gun to make the GND point better. 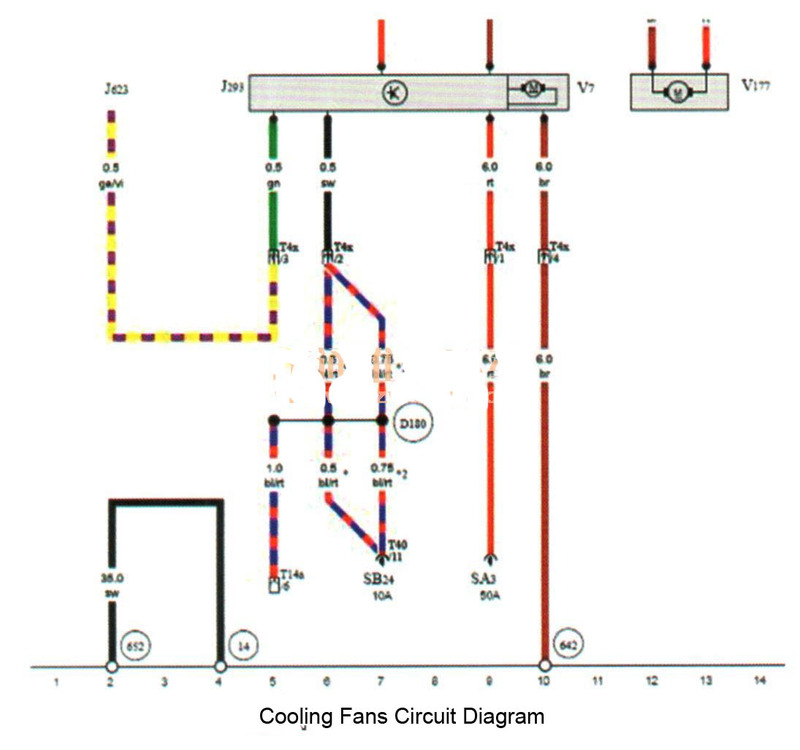 In this case,the AC trouble caused by poor GND of cooling fans.Then the cooling fans trouble result in AC system high pressure.Through the analysis of the trouble code,it determined that refrigerant pressure is too high,then power off the compressor.And analyse the data stream found the duty ratio of cooling fans is up to 99.6%,it is unnormal.So determined there are fault points exist in fans controller or its wire.Technician detect the power and GND of fans to located the real fault point quickly. In this repair case,it warn us that the detection of controller and GND need at the load condition and wire connection position otherwise we will get the wrong result.